In 1999 Ebou Gaye Mada, originally from the Gambia, started the group Boka de Banjul from jam sessions with various musicians. After having toured all over the world with his previous groups Ifang Bondi and Mdungu, Ebou decided to focus on Boka. Boka Halat means “joined ideas’ in Wolof. The combination of the various band members, their ideas, their musical background and their shared passion for music became the basis of a platform for positive energy, a platform that continued to develop over the years. 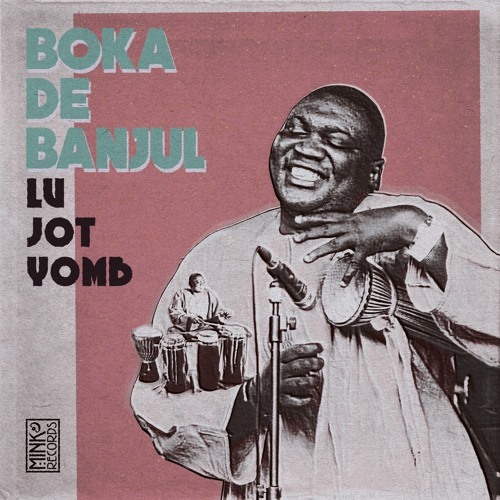 Now based in the Dutch city of Rotterdam, Boka de Banjul combines the Gambian Mbalax with music from all over the world like jazz, afrobeat, reggae and more. Ebou and his band play with such passion, experience and love for music that the viewer is included in the rhythms and melodies through their infectious performance. Boka will play an array of festivals in 2018, so keep an eye out for live gigs near you. Boka de Banjul signed with UK/NL based label Mink Records begin 2018, and released their full 9-track debut album ‘Lu Jot Yomb' ('everything has it's time' in Wolof) during a release show at Rotterdam’s BIRD, on April 12th. The record is available on CD and digitally.